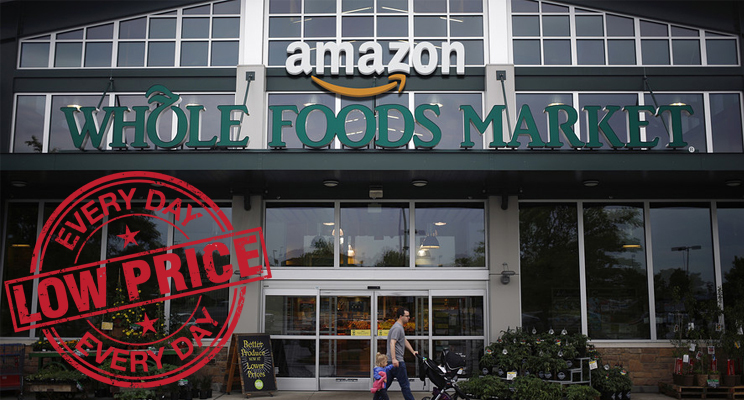 Phoenix, Ariz., – Aug 28, 2017 – Amazon’s (NASDAQ: AMZN) recent announcement to slash prices at Whole Foods Market across a number of categories forces an immediate response from both retailers and manufacturers. The Associated Press reported today that a half-gallon of milk was 50 cents cheaper at a Whole Foods in New York. Ground beef was down by $2 a pound. And an organic avocado cost a buck less. The aggressive move has already impacted the stock prices of major players like Kroger Co., Costco, and Wal-Mart, with retailers evaluating appropriate response strategies. Faced with this new reality, natural and specialty manufacturers are reported to be holding emergency meetings to evaluate adjustments to their trade promotion strategies and retail execution practices. The beauty of digital transformation in the consumer goods software space is that it expedites the use of data to drive decisions. Manufacturers with sophisticated Trade Promotion Management (TPM) software can easily plan, model and execute changes to their trade planning strategies. Those still operating on spreadsheets have long nights and early mornings ahead of them with a mountain of work to do. “Your margin is my opportunity,” stated Jeff Bezos, CEO of Amazon. Bezos sees a competitor’s love of margins and other financial “ratios” as an opportunity for Amazon. Another critical tool enabling manufacturers to adjust rapidly and effectively to these sudden market changes is Retail Execution, which provides a mobile sales force the right tools to capture market intelligence while maximizing their sales potential. Equipped with such tools, manufacturers can quickly respond and optimize the execution of their “perfect store” strategy—an additional way to effectively handle these price wars. AFS Technologies (AFS) is a leading provider of software solutions purpose-built for consumer goods companies. AFS was recognized by Gartner in its 2017 Market Guide for Trade Promotion Management and Optimization. The AFS Retail Execution solution received “Best-in-Class” recognition for Guided Selling and Merchandising in the last Promotion Optimization Institute (POI) Vendor Panorama for Retail Execution and Monitoring in Consumer Goods. With experience developed over its 31-year history, AFS serves more than 1,100 customers of all sizes in over 50 countries around the world. The AFS products are innovative, configurable solutions that are proven to optimize your potential with automated processes, improved productivity and rapid time to value.